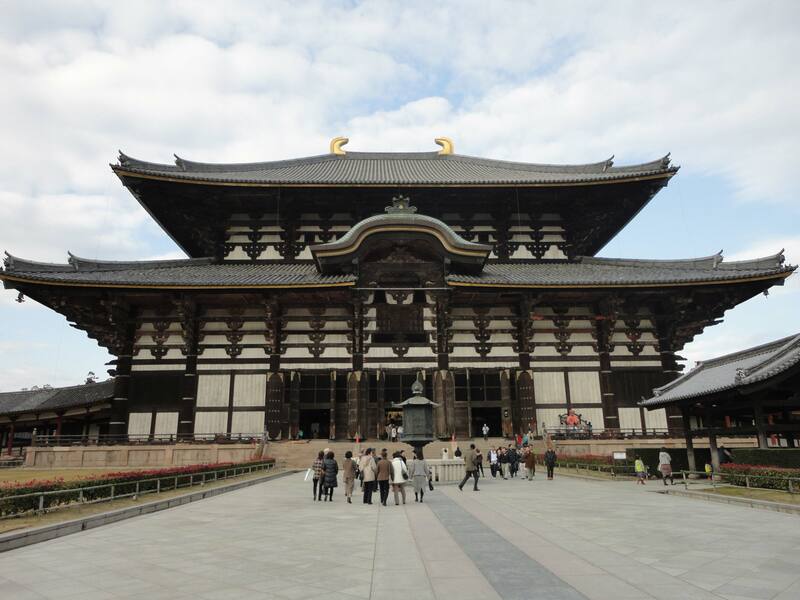 Todaiji is one of Japan’s most famous and historically significant Buddhist temples. Todaiji (東大寺) is one of Japan’s most famous and historically significant Buddhist temples, as well as a UNESCO World Heritage Site. 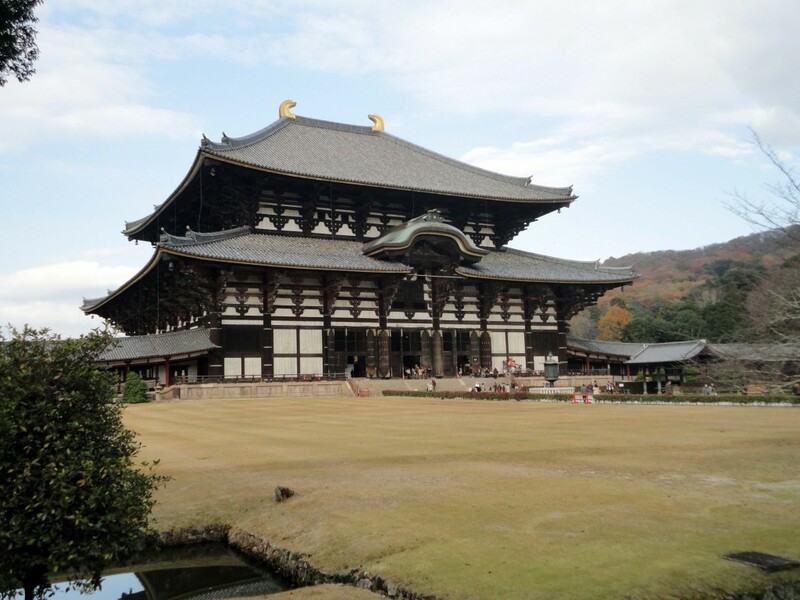 Located in Nara, the original structure was completed in 752 as the provincial head of all Buddhist temples. The temple grew to have significant power and influence over the government shortly after this time, so in 784 the capital of Japan was changed to Nara. As you head towards Todaiji, you’ll cross through Nandaimon Gate. This large wooden structure and the statues within are now considered national treasures of Japan. 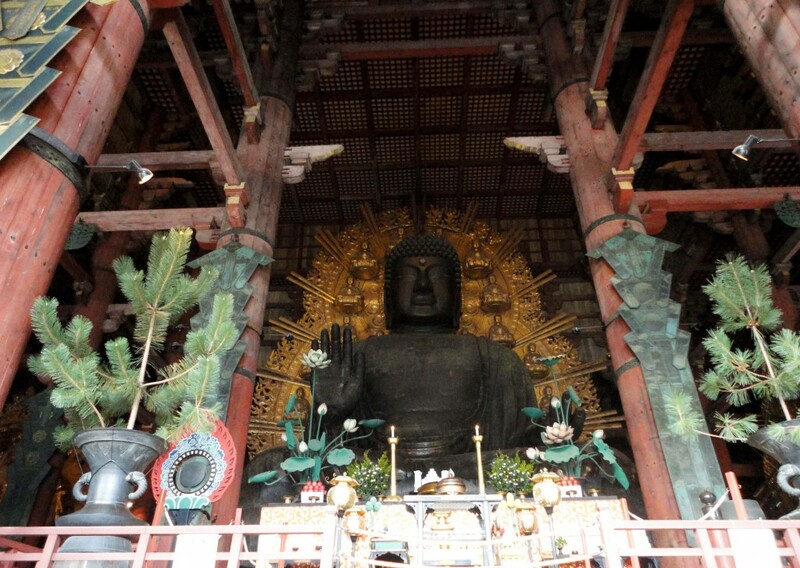 The largest hall inside Todaiji is Daibutsuden, which can be translated as the “Big Buddha Hall”. The current structure was reconstructed in 1692 and is amazingly only 2/3rd the original size. Despite this, it is still the largest wooden building in the world. As you approach the building it can be quite intimidating because of its size. There is an admission fee but it is well worth the price. Inside the “Big Buddha Hall” you’ll find, go figure, a big Buddha statue! However this is not just any statue, it is the largest bronze statue of Vairocana in existence today. The statue is 15 meters tall and weighs around 500 tonnes. Although it’s hard to tell the size from any photo, an average person would still be shorter than the statues open palm! Inside the hall there are other Buddhist statues, as well as small wooden replicas of the other buildings in Todaiji. It was truly incredible walking around this temple, as you begin to feel really small and insignificant due to the sheer size of all the Buddhas. 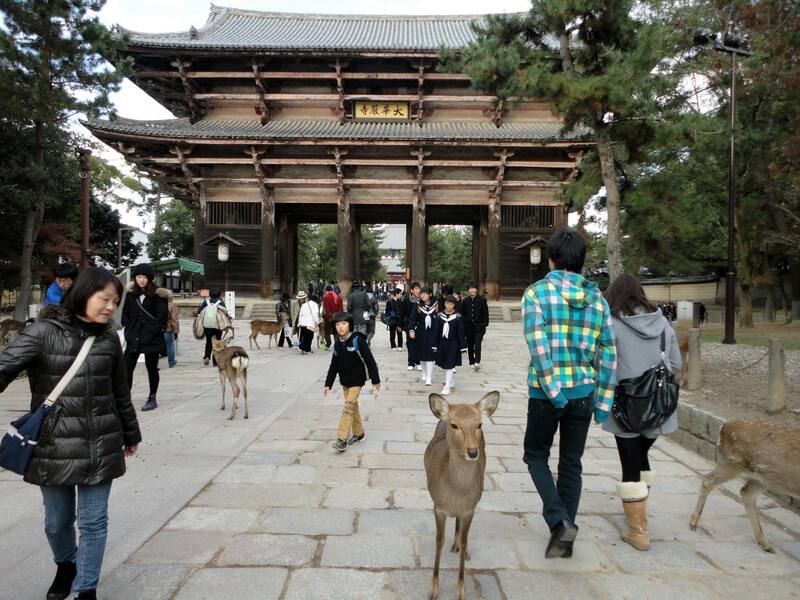 Do make it a point to visit Todaiji during your time in Japan, you won’t regret it. Although Nara is a bit out of the way, there are many other things to do there and it can be easily reached from Kyoto and Osaka by train.